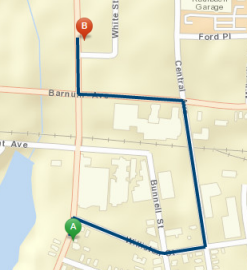 Some of ArcGIS Online directions and routing capabilities, such as the Directions and Plan Routes tools in Map Viewer, don't allow you to set individual travel settings—they require a single travel mode as input. If you configure a travel mode for each of your vehicles or vehicle types, those tools and others throughout the ArcGIS platform will give you more meaningful results than running them with the default travel modes. To create, edit, or delete a travel mode, you need to be an organization administrator. 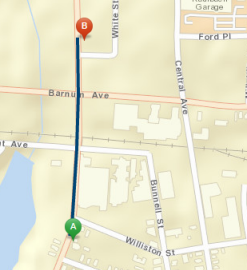 Esri provides default travel modes to model typical cars, trucks, and pedestrians. You might find they don't quite fit your needs, however, leading you to customize them. For example, you may need to model a jogger rather than a walker. The default Walking Time travel mode ensures the pedestrian stays on pathways and roads where pedestrians are allowed, but its walking speed is too slow for your needs. Verify that you are signed in to your organization as an administrator. Access the utility services page. Copy the default Walking Time travel mode. Type Jogging Time as the name of the new travel mode and edit the description. Increase the walking speed parameter to the average jogging speed you want to use. Anyone in your organization who performs an analysis using a tool that has a travel-mode input will see Jogging Time as an option. To compare the Jogging Time with the default Walking Time, run the same analysis twice changing only the travel mode. The larger polygon in the graphic below shows where a pedestrian who jogs at 10 km/h could go in five minutes. 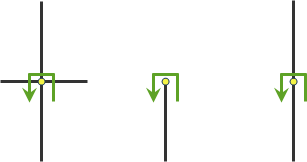 The smaller polygon shows where a pedestrian who walks at 5 km/h can reach. A delivery company has a fleet of 3.5-meter-tall, tandem-axle straight trucks. 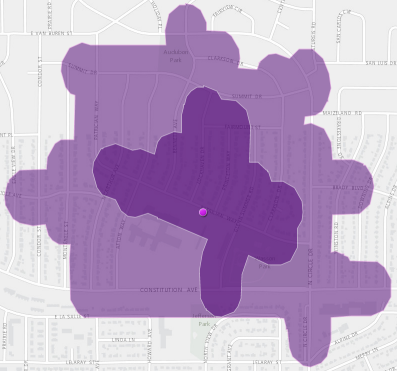 Efficient routes are generated for the truck fleet using ArcGIS Online routing capabilities. The company uses travel modes to make sure their vehicles aren't routed along certain roads, such as roads that legally prohibit tandem-axle trucks or have overpasses with maximum clearances that are shorter than their trucks. Copy Esri's default Trucking Time travel mode. Type Straight Truck Time as the name of the travel mode and write a description. Configure the other parameters to accurately model the straight trucks. This includes making sure the Driving a Truck, Tandem Axle Vehicles Prohibited, and Height Restriction attributes are applied, and the vehicle height parameter is set to 3.5 meters. The pair of images at the top of this page compare the results of routing a truck that is shorter than 3.5 meters and one that is taller. Models basic truck travel by preferring designated truck routes and finds solutions that optimize travel time. Routes must obey one-way roads, avoid illegal turns, and so on. When you specify a start time, dynamic travel speeds based on traffic are used where it is available, up to the legal truck speed limit. As an administrator of your organization, you can configure travel modes to change the properties of the default travel modes provided by ArcGIS Online, add new travel modes that better reflect your organization’s workflows, or remove travel modes that are not suitable for your organization’s workflows. Some restrictions are supported only in certain countries; their availability is stated by region in the list below. Of the restrictions that have limited availability within a region, you can check whether the restriction is available in a particular country by looking at the list of countries that are supported with network analysis services. If a country has a value of Yes in the Logistics Attribute column, the restriction with select availability in the region is supported in that country. If you specify restriction names that are not available in the country where your incidents are located, the service ignores the invalid restrictions.